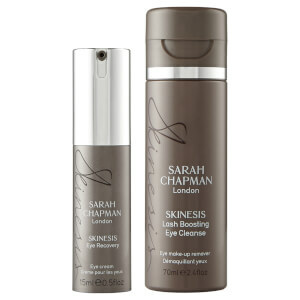 Perk up your skin with Sarah Chapman's Skinesis Intense Hydrating Booster, a lightweight serum that works to instantly refresh, comfort and restore skin's radiance. Blending protective Bioecolia® and beta glucan with moisture boosting hyaluronic acid, the silky formula kick-starts the skin's natural defences, shielding from everyday environmental aggressors whilst inspiring a dewy, more healthy complexion. Providing instant moisture relief, the multi-tasking treatment also visibly plumps out fine lines and wrinkles, eradicating signs of crepiness and ageing for a smoother, more hydrated appearance. Supercharge your skincare routine with this efficacious formula. The perfect skin booster for long haul flights and times when central heating affects the skin. - K.N. Apply directly onto clean skin twice a day or mix a dose with your chosen skincare. Follow with your day/night regime. It exceeds my expectations. It gives me the feeling of instant hydration for my skin. My face is mixed with dry checks and oily forehead and nose. It is my first time to try on this hydrating boater. Very easy to be absorbed. Give great moisture to skin. The effect is out of expectation. Although is a bit expensive, still worth it. This product is easy to apply, and comes in smart casing. The results are great, and pumps up my skin to make it appear hydrated. Definately a must for 'just going out' - perfect for a hot date. I use this in addition to a moisturiser as find my skin needs more than just this product, it has a mild sticky drying texture afterwards so I found if I mix in a hydrating oil afterwards this makes the surface feel less so. Recommend. I really love This product! I have only been using this product for a week or so, but so far so good! It does exactly what it says on the bottle - I have quite dull skin, and always look for a product that will give me a fresh dewy look. This product has been an absolute hero in doing so. You can apply it both morning and Night and it is a great product to mix with your usual Moisturiser. Very luxury product with great results! I've only been using this for two weeks or so, but already I feel the benefits. 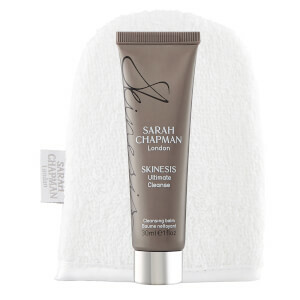 All Sarah Chapman products have a buzz around them, and this one is no exception - it leaves my dull, olive toned skin feeling moisturised and radiant. 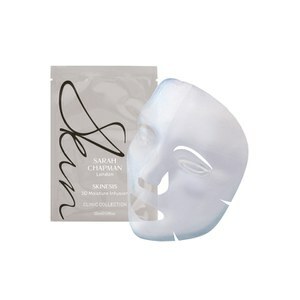 I chose it because the description says it leaves skin dewy - and it really does. It's a lovely treat morning and night. I add two drops to my moisturiser and my skin drinks it right up. Love the packaging too!